Will we hear your tree when it falls? As we grow older we discover that the past becomes more important to us. We search for memories in letters, photos and old friends. 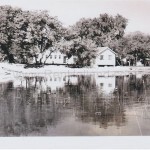 Pam Cates, whose parents owned Limmer’s Resort in the 1960s and 70s (on Rush Lake, near Perham), is writing her family history–now, while names and places are still accessible. Limmer’s Resort was an important part of her early life. 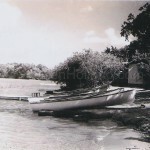 She and Laurie Limmer Torgerson have kindly shared with me some of the photos and stories of the resort’s history. The following email excerpts show how ideas evolve into reality and how gathering family history can become an inspiring and rewarding experience. Enjoyed your postcard of Limmer’s Resort in the 50’s. My family owned that resort from 1963-72. 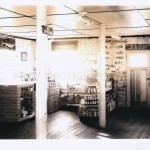 I have a few old photos of it myself if you are interested. 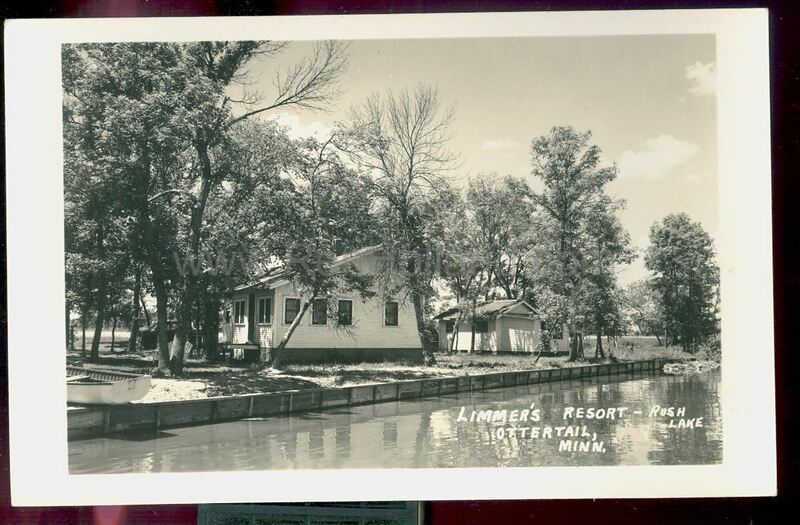 I could scan them in someday.I am writing my own family resort memoirs, which is what led me to your image of Limmer’s Resort. I have been reading your book…The Early Resorts of Minnesota, and it was neat to see ours listed, of course. I talked to my uncle, who told me that he went with my dad, mom and me to stay on Osakis in 1963. 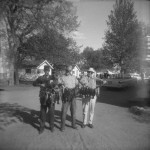 He said that they talked to a man at a gas station by the name of Bud Peacock who said he would rent them a private cabin. I also found a clipping that we stayed at Rainbow Resort another time.That is when my parents went up to Limmer’s and bought the resort. I have boxes of letters that my mom and my grandma wrote to each other during the resort years and some stories my mom wrote of their time there, as well as my memories and those of my brothers and sister. The letters are very interesting and so nice to have a written account.I feel like I have to get this story out while I am in a unique position to do it. I am about thirty pages into my book. It gets to be a consuming project! I am fortunate to have over 300 letters, stories mom wrote, and people still alive who were there and who I can interview. I still have to get in contact with a few people who stayed at our resort all summer. One man still goes up, it was his fiftieth year this last summer….I have to scan pictures, which is time consuming, so it might be a little bit….Of course, now once started, I am becoming a little obsessed with the process. 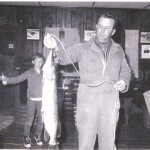 ….I have received some old photos [below], probably 40’s, from my friend in MN [Laurie Limmer Torgerson] with notes on back from her dad, Herb Limmer. Herb is still living and sound of mind at 99 years. Herb’s dad built the resort, and he and his brother Roy also owned it together I think. 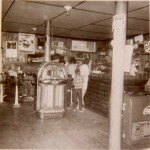 By the time we moved there in 1963, Herb had Herb’s Camp next door, which is currently Four Seasons. 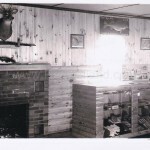 Herb was a woodworker and built the furniture in the lodge. I have one of the cupboards from the lodge he built in my den, and I didn’t know until I got her letter that her dad had built it. These stories are so cool. I am getting some of my photos printed from negs (don’t know where the prints are) and will send copies of those from 60’s which you might like to see. I need to ask permission before sending the Limmer ones. As you can imagine, I poured over the old ones looking for things that were the same and things that were different and found many of both. I talked to my friend Laurie Limmer Torgerson and she said ok to use the photos she sent, so I will scan and pass them on to you. She gave me more history, which I need to compile. 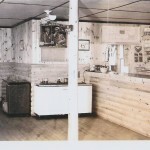 Her grandfather bought Limmer’s in the 30’s and her dad says it already had a gas pump and a lodge with one or two cabins then. They built the rest. By then all but two cabins had bathrooms added on. No showers though. I talked to Dad last week and got some more info. He thinks they bought the resort in the spring of 1936. The man they bought it from was Rudy Krone. There was a small store and one cabin. He thought number 1 was the cabin. 2/3 was the store. They built the living quarters in the back of the store. The lodge was NOT there. They built it. And there was the one gas pump. Grandpa, Roy–Dad’s brother, and Dad ran it and built it. 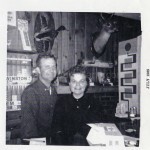 Mom and Dad were married in 1939. Not sure when Roy and Betty got married. Mom and Dad went to Mich. where Dad found work. When WWII started Roy went into the Navy. So Grandpa ran the resort with the help of Hans and Mabel Hanubeth. Dad started building Herbs Camp little by little like they did Limmer’s Resort. 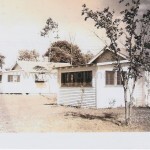 He said Limmer’s Resort was sold in 1957 and he thinks that was to Harold Carpenter.The land and houses in between were never part of the resorts. 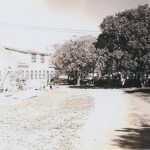 Melvin McGown bought the old lodge…actually he thought it was given to him for the moving. He thinks it now belongs to someone else….but not real sure. So that’s a little info ….thought you would enjoy. 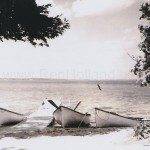 The picture of the boats lines up pretty much with the 1940’s shot in which there was no development in the background. 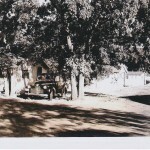 Some of these photos were taken when my parents went there in the fall of 1963 to look at purchasing the resort. 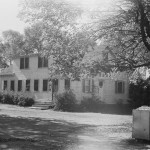 The one of the lodge with lettering on the side was a few years later, probably 1966. 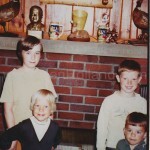 The one with my dad (Jack Bierwirth) and the northern was 1969. It weighed 11 lbs. This should be it. I am so glad that you have taken on this project and are saving the history. 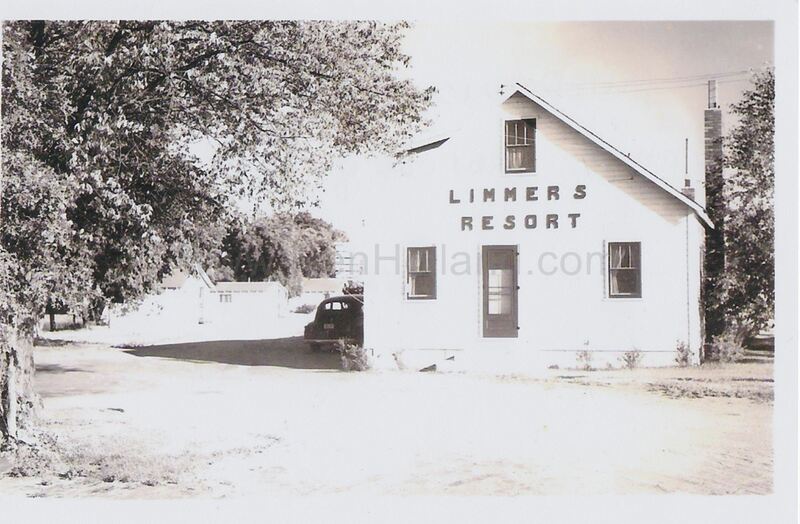 Thanks to Pam and Laurie for hearing the sounds of history from the early days of Limmer’s Resort! 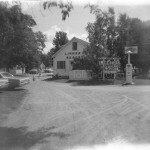 For information on Limmers Resort today, click here. 2 Responses to Will we hear your tree when it falls? Fascinating stuff! I’m one of Roy’s grandkids, so this topic is near and dear to my heart.